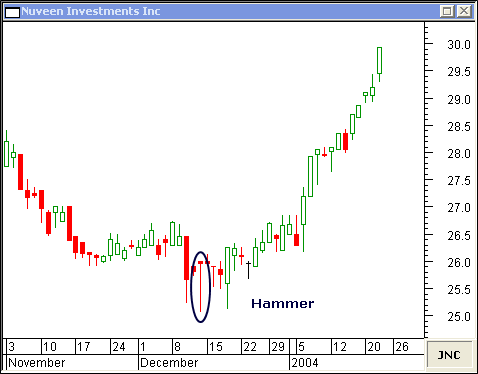 he Hammer Candlestick and Hanging Man Candlestick are excellent patterns for revealing price reversals. You can learn how to spot these useful patterns by studying the following charts. 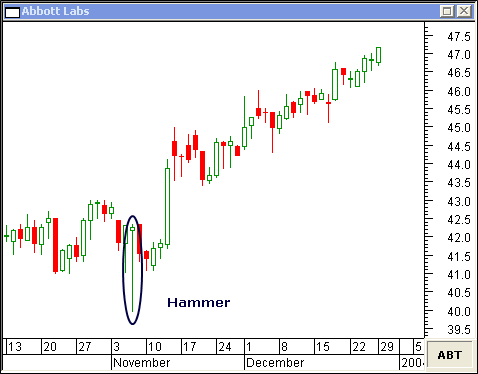 This daily chart of Abbott Labs shows a classic Hammer pattern on November 6. The pattern helps define price support at $41.00 before breaking-out to the upside. The November 19 Hammer candlestick on this daily chart of SCANA Corp defined support at $33.00. 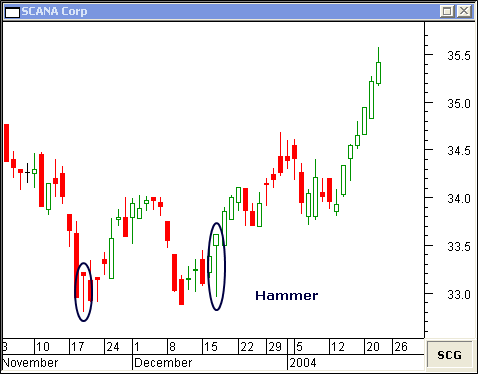 The hammer on December 17 put in the second bottom of this W pattern... propelling the stock through resistance at $34.00. You can see in this daily chart of Nuveen Investments Inc how a bottom was "hammered-out" on December 12. 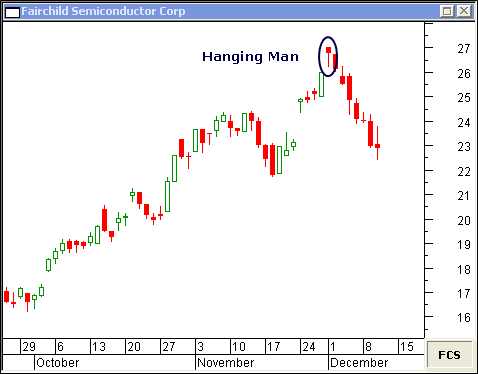 The Hanging Man candlestick pattern works well for pinpointing short-term bearish reversals. The December 1 reversal occurred after a nice 10-point run-up from $17.00 on this daily chart of Fairchild Semiconductor Corp. 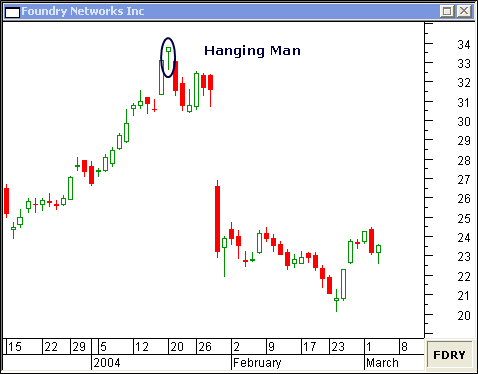 In this daily chart of Foundry Networks Inc, the Hanging Man on January 20 marked the stock's all-time high. 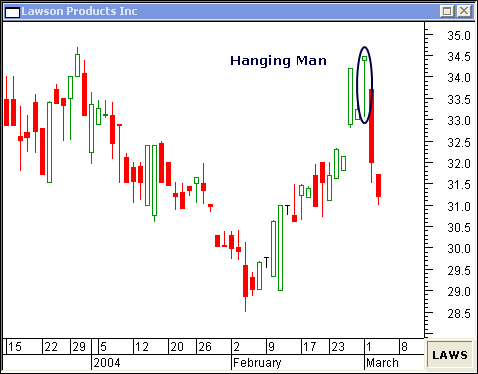 The March 1 reversal in Lawson Products Inc was a re-test of the December 2003 high. The double top won't be confirmed until the stock trades below $28.50.